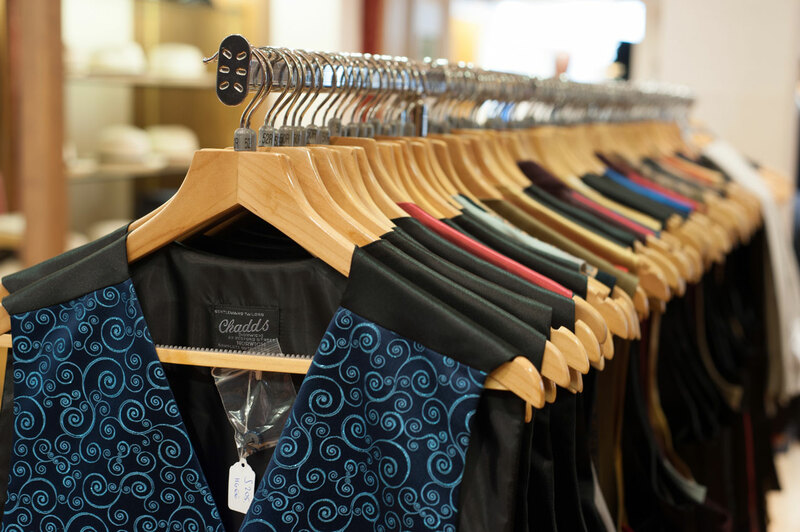 As an independent retailer, Chadds Menswear was built on the foundation of offering high quality clothing while providing exceptional customer service. Over 50 years later, this still remains true to this day. Our helpful sales advisers are able to offer expert product knowledge and fitting guidance to assist you during your visit. When it comes to suiting, the most important detail is that the suit fits perfectly. Which is why our team of experienced and knowledgeable sales advisers are at hand to offer guidance to ensure a perfect fit every time. 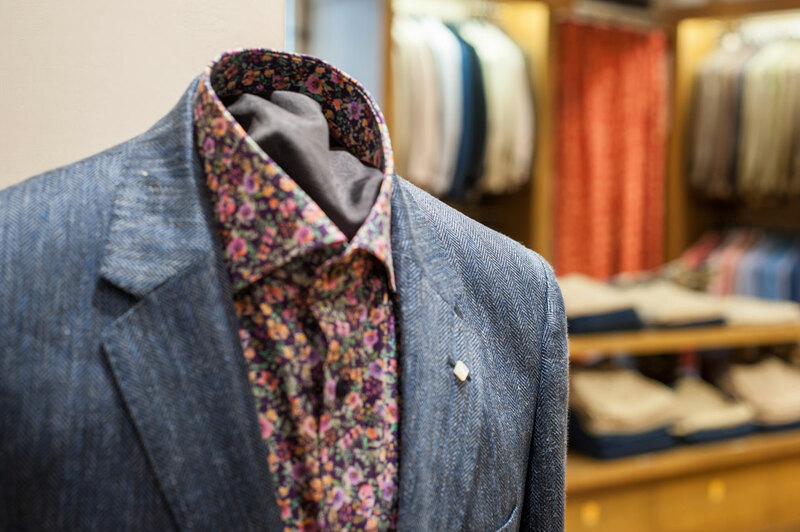 You will find a stunning range of high quality suits and dinner wear from brands such as Magee and Brook Taverner, both offering seasonal collections as well as stock service and mix & match options for sizing in suits. 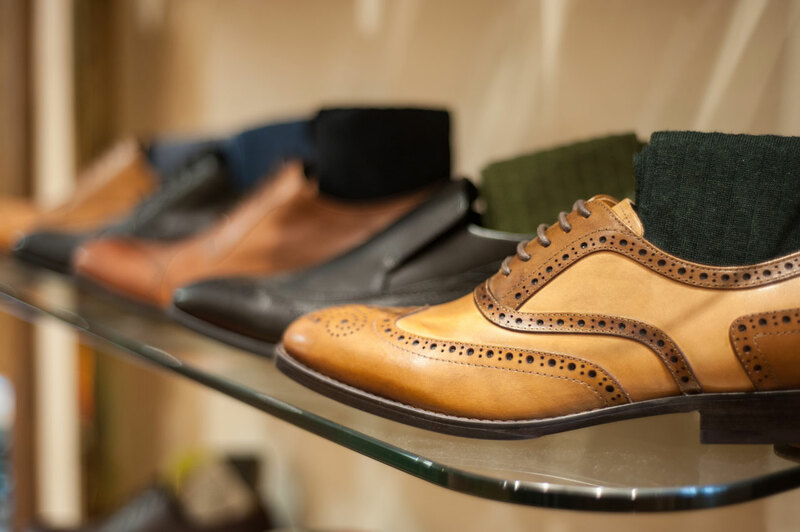 To compliment our suits we have stylish shoes from Azor, leather belts from Dents and entire walls of formal shirts in all styles and colours available from Viyella, Eterna, Rocola and Peter England. Though when the weather calls for it, you may want a formal coat, rain mac or overcoat, to which we have a great selection from Magee, Douglas and Schneiders. All you could need for any formal function or workplace. At Chadds Menswear, we believe that you don’t have to sacrifice style when dressing casually. With an extensive range of casual wear available to suit all tastes and styles, you will be sure to find your ideal outfit for any occasion. Browse through our many jackets in all types of fabrics from Magee, Brook Taverner, Douglas & Grahame and Daks, as well as our great selection of contrasting waistcoasts. Alan Paine, John Smedley and Gant knitwear fill our walls with bright colours in both round and v-neck options as well as cardigans and slipovers. 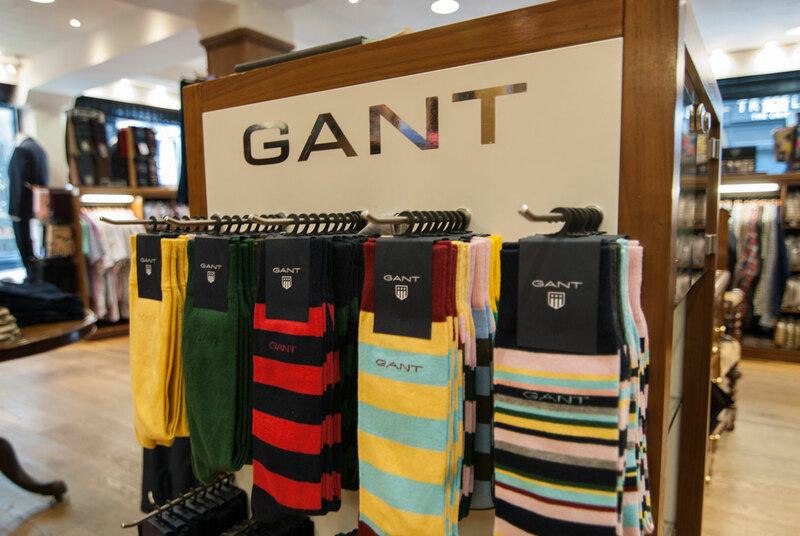 Gant, Bruhl and Gurteen provide a wealth of choices in trousers, chinos and jeans. While Viyella, Eterna and Profuomo give a great selection of casual shirts. Last, but not least, our superior range of flat caps and hats from Olney, City Sport and Failsworth. Every outfit needs that finishing touch; a set of classic cufflinks, a flamboyant pocket square or even a stylish knitted tie. 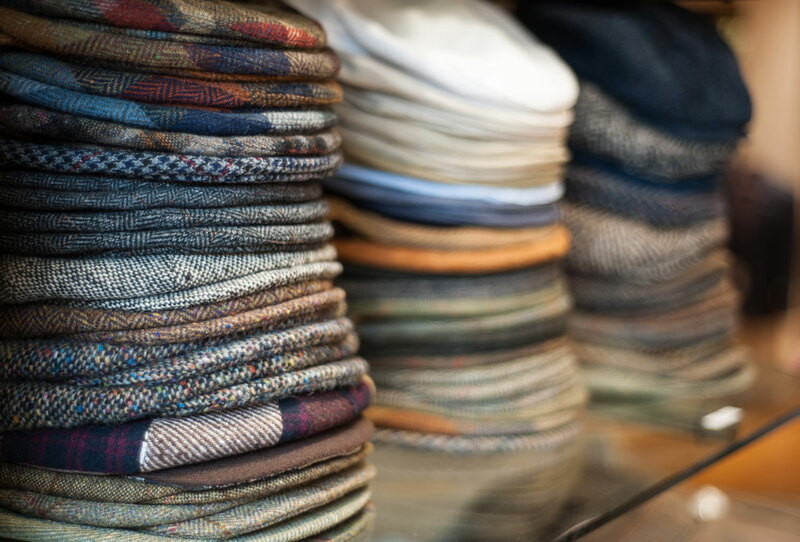 Whatever the occasion, Chadds Menswear have a great range of accessories from brands such as Hunt and Holditch, Profuomo, Fort & Stone, Viyella and many more. 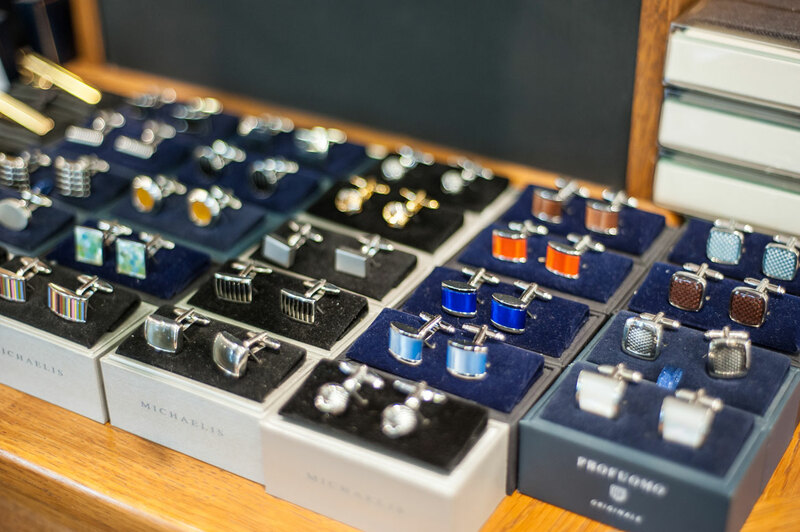 Our accessories range from ties, cravats and bow ties for both formal and casual wear along with cufflinks, dress studs, tie slides and cravat pins. Not forgetting the superb selection of colourful pocket squares and traditional handkerchiefs or vast range of socks in different designs from Gant, Pantherella, Viyella, HJ Hall, Peter England and Scott Nichols. Lastly, the functional products that still maintain their style when worn such as our classic braces, arm bands, underwear from Gant, Sunspel, Jockey and Brynje to our gloves and scarves. All to serve their purpose in your outfit.